If you have been waiting for Adobe to release full RAW support for the new Nikon D750 (see our detailed Nikon D750 review), for the new Canon 7D Mark II, or for a number of other new cameras from Fuji, Leica, Olympus, Panasonic, Pentax, Samsung and Sony, you will be happy to know that Adobe has just delivered the final production version of Lightroom 5.7 and Camera RAW 8.7 that not only provide the RAW support, but also come with a huge list of newly supported lenses. Along with these updates, Adobe also delivered some updates to the Synced Collections in Lightroom, integrated a utility to import images from Apple Aperture and Apple iPhoto Libraries, enabled support for HiDPI displays in ACR 8.7 and provided a number of bug fixes for both Lightroom and ACR. For those who like to shoot tethered, both the Nikon D4s and the D810 are now fully supported. Another huge news is for Nikon D810 owners – the color profiles have now been finally fixed, so you will not see any banding issues when using Nikon camera profiles anymore! Leica M	Voigtlander VM 12mm F5.6 Ultra Wide Heliar ASPH. Leica M	Voigtlander VM 15mm F4.5 Super Wide Heliar II ASPH. Leica M	Voigtlander VM 21mm F1.8 Ultron ASPH. Leica M	Voigtlander VM 35mm F1.2 Nokton II ASPH. Leica S	Leica SUMMICRON-S 100 mm f/2 ASPH. An interesting listing we see here is for the new iPhone 6 and iPhone 6 Plus lenses – I believe this is the first time Adobe is releasing lens support for mobile cameras! Have been playing all day with it as it got released here earlier because of the time difference!! One thing – do you know if the issue that was mentioned in one of your previous pieces with ACR 8.7 beta’s processing of high ISO has been resolved? Many congrats with your recent life changing decision and a great look to the revised site, I’ve been shamelessly plugging it on the Nikon D750 user group on FB!! Hope you don’t mind!! Nasim, thank you for keeping an eye on this. This is the one issue that has so far kept me from getting a D750. From your comment it seems that the issue only affects ISOs above 12800. If that is the case it probably would not be relevant for me as I very much doubt I will ever go above 12800 (currently I have set 8000 as my maximum for emergencies and I have only used it on one occasion). So as long as I stay below the limit would you recommend Lightroom and the D750? Thank you. Lightroom handles my full workflow – not in an ideal way, but better than anything else I have tried – so I am not very likely to give up. I think companies like Nikon do not always seem to understand photographers’ workflows. Especially now as so many cameras, even with relatively small sensors, are sufficient to get the job done the workflow becomes even more important. I wish Nikon would work with companies like Adobe to ensure that Nikon customers always get the best output, no matter what tool they use, and straight from or very close to release of the camera. Sadly, they seem to prefer to support a mediocre tool instead… Again, thank you for your comments! Mark, and thank you for your support and kind words, I really appreciate it! Can you tell more about this issue? A pity a profile for the Tokina 11-28 for Nikon is still missing. Peter, yes, and it has been a while! Should have been 12-28 of course, not 11. That lens is quite a deal as I find, btw. Maybe you can give it a review when you find some time and get your hands on it. Just read your Adobe “rant” – I 100% agree. I sure wish Nikon had kept CNX2 – just can’t seem to get used to CNX-D. I tried various cataloging software in the last decade. All either crash or are awfully slow. No tester ever seems to work with collections of 20000 pics or even more. Btw hardly any(!) software other than LR recognizes Nikon files shot with ISO > 6400 – the ISO is then coded differently in the file and none of DxO etc can even display the value. Irfanview does, btw – after I talked to the developer and gave him some test pics. The software out there is really a big pile of ****. Can I finally shoot tethered with my Canon EOS 70D? Firstly thanks for sharing the news. Apart for shoot tethered for D810, does it have the RAW support for D810 raw images when shot un-tethered. Thanks for the heads up on this. Finished the down load and now I’m pushing myself into ordering the D750. Don’t have any more excuses not to. Anyone got any pepto? I feel a bout of G.A.S. coming on. I am trying to hold out until after the first of the year to see if the rumors of a new improved pro DX is going to come out. Losing patience and the D750 with its file size seems perfect for me. I may have missed something but as far as LR releases go I’m up to date BUT, I have just in the last month started shooting with an Olympus OM-D E-M1 and while in Library mode the camera and Zuiko lens (M.Zuiko 12-40mm f/2.8) is recognised, when I go to the Develop module and the profile correction neither camera or lens is shown? Thanks Nasim and all at Photography Life for your tutorials and helpful articles. Hmmm. Odd that the ‘cloud’ doesn’t yet want to update to 5.7, but also doesn’t want me to download outside of the ‘cloud’. And this is why I pay them $10/mo? JYW, just restarting my laptop worked for me and CC fetched the new updates immediately. When I downloaded Beta version there was a note that window’s Vista and older were no longer supported. Also some Mac’s. It threw me a little when I subscribe to Cloud first time for new D750 that the Beta converter was not included, had to find that out myself. Also, I downloaded codec which allowed me to view D750 NEF files in plain file view without opening bridge. Maybe of interest to some?? Do you think Adobe has forgotten this lens or is their technical skill not good enough? Thanks for you article. I’m still on LR v4. I guess your text plus LR4 not being able to read my Nikon 1 V3 NEF files will make me upgrade. I can understand Adobe’s perspective of apparently forcing you to upgrade to be able to read newer cameras’ raw files but not sure I agree with that. Now a question a bit off topic, prompted by your mention of the Canon 7DII. Having shot with the latter as well as with the 5DIII, for wildlife which of those would you say has an edge (i.e., a cropped 5DIII shot but with larger pixels or the smaller pixel 7DII but with a higher pixel density) if you were using a 500 f/4 lens? Let’s assume that the shot you want could be taken with either camera (the 5DIII 6fps doesn’t look too bad). Has the pixel technology in the ~2.5 yrs that separate these cameras evolved enough that the balance may tilt towards the 7DII (for wildlife)? Or would the need to eventually bump up the ISO (for wildlife in the shade say) favor the 5DIII? P.S. Congrats on your new plans for your professional life. You did well. Life is just too short. Antonio, full-frame will always have an edge over crop sensor in IQ. If you are looking for the best image quality, the 5D Mark III will be the way to go. However, if you are OK with more noise in low light situations, then the 7D Mark II gives you 4 fps more speed, which can make a difference when shooting fast action. I guess it all depends on what you shoot most. If you have no budget constraints and you are OK with 6 fps, go with the 5D Mark III – it is a phenomenal camera and not just for wildlife. Otherwise, the 7D Mark II is also a great choice. Just a note here. I down loaded the new files and am not having problems with either my lap top or PC. I have found however, if I try to look through files quickly I will crash and have to re boot. But that has always been the case with my ancient computers. I really need to up grade the hardware. Fortunately for me, I don’t have to do as much post processing as many of you do. I think that is why I don’t suffer as much as some of you. Plus, I don’t use PS at all so I’m not constantly switching back and forth between programs. When do you think they will have support for tethering the 70D? Hi Nasim, I have been following and reading your posts and articles for a while now and must thank you for all of the time and effort that you and your team put in to make photography that much easier and more understandable for us technologically challenged individuals – yes I would ask one of my kids, but they’re away at university most of the time. How is the Adobe DNG converter used ? I have ordered a Nikon D750, so would like to get up to speed ASAP. Is it a case of importing the raw files from the SD card, saving them to the file where I’d normally save the RAW files, then importing them into LR for processing ? I’d appreciate a fairly detailed step by step system if possible, as I’d hate to lose any photos. I have also read that only those files taken with very high ISO values are affected, is this true ? I’d prefer to handle all of my photos the same way to prevent any mishaps etc. Thanks very much and keep well. Still all these years, Adobe Lightroom CAN NOT do Tethered Live-View, Aperture & Shutter Adjustments when operating from the computer. Nasim Mansurov, contact Alzo Digital, CT and you can shoot wirelessly to your PC. I got the ATG AK1 Un-Tethered System and sold my Canon WFT. Adaroma and B&H Photo are having a hard times selling the WFT/WT. Many also sold their Canon WFT and Nikon WT because the ATG can supports many cameras as well as getting wireless radio flashes. Still no support for 1Nikkor 10-100/4,5-5-6 VR ED N. Why cant Adobe fix this? Am I the only one using this fantastic lens? I downloaded the update for Lightroom and initially didn’t have any difficulty with it, but with each passing day, whenever I work in Develop it gets slower and slower, and on some images it locks up completely and doesn’t respond, and I have to close the program and re-open it. Sometimes that helps and sometimes the problem continues. Is anyone else having a problem with the update, and is there any fix? I remember Nasim writing an article about it but can’t find it to see if there was a solution. Thanks. Cindy, I am having the same problem. Or was. I recently removed all pictures from my PC and Laptop to external hard drives. Now all I have on my computers are shoots from 2015. That freed up more than 800GB of space. Since I did the transfer I haven’t had the problem…yet. 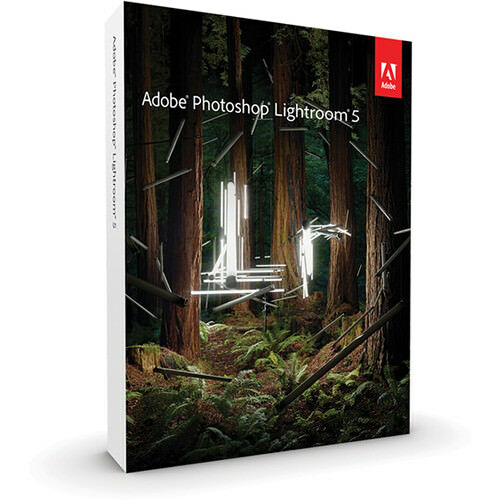 Can Lightroom 5.7 support D7200 RAW file ?